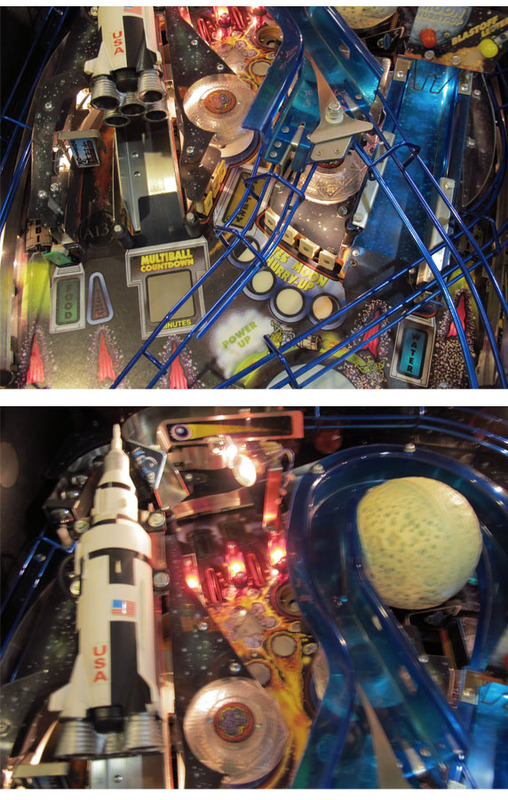 * "First Game in the Universe with 13 Ball Multiball!" * Based on the 1995 movie Apollo 13 about the third moon landing attempt. * Regular is the normal 3-ball arrangement. * Rocket Ramp. A ramp with a beautiful plastic Apollo Rocket on top. * A big plastic moon accompanies the right ("blastoff") ramp. * Saturn Abort handle functions as plunger. * Lunar lander with red mode start light on bottom that looks like flame. 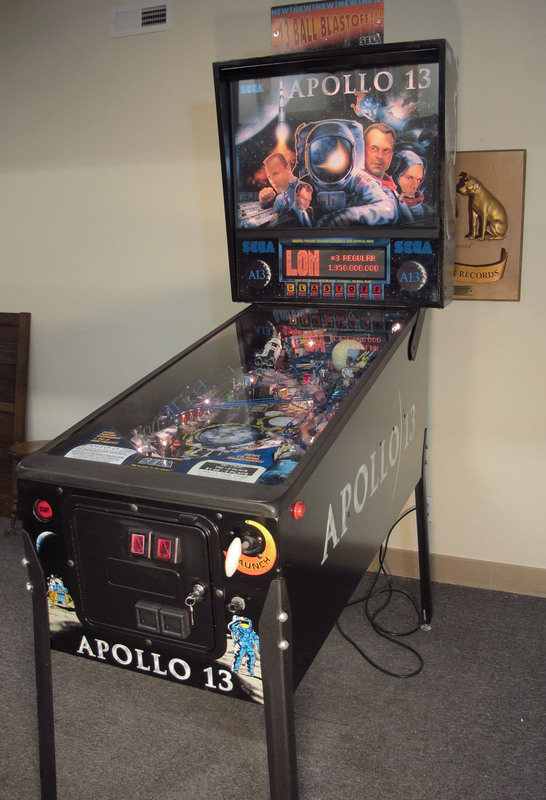 * The largest multiball of any pinball machine! to the playfield glass and down into a hole where it is dropped beneath the playfield. * You will notice that Tom Hanks image is missing from the game - he is the suited astronaut. * 9 Missions; after doing all of them, Master Alarm is lit at the right saucer. - Try to land the Apollo Lunar Module on the Moon. - Both buttons simultaneously will activivate the vertical thrusters. *Based on the 1995 movie Apollo 13 about the third moon landing attempt. * There are 9 Missions; after doing all of the missions, Master Alarm is lit at the right saucer. - Both Buttons Simultaneously will Activate the Vertical Thrusters. ** Technical assistance is availble for no charge. Technical assistance is availble for no charge.